When you watch the very beginning of Disney’s Moana, you’re overwhelmed by cuteness because the main character’s just a baby. But there’s a lot more going on. The latest in Pixar’s “Script to Screen” video series (they’ve all been pretty great) focuses on the 2016 Polynesian mythology musical. 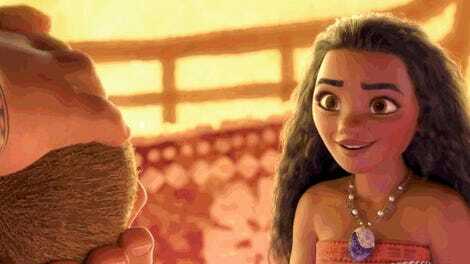 It hones in on the moments in Jared Bush’s script where the audience first meets Moana as she makes a crucial decision. 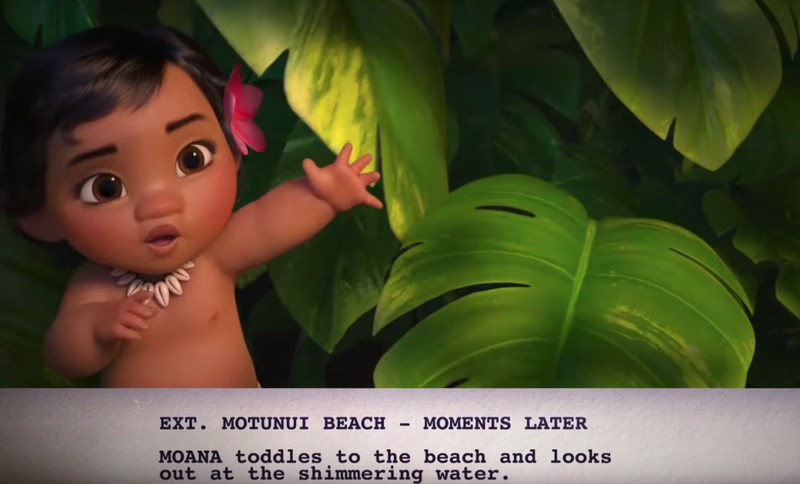 The adorable design of Baby Moana also heightens the mild danger she’s in the middle of. There’s the never-stated but still-present threat of drowning, long before we know why she’s forbidden to go to the sea. That’s balanced against her choice between taking the pretty shell she wants and protecting the baby turtle who could be lunch for birds. Once the drama’s all played out and the mythological magic is revealed, her father worriedly swoops in to take her back to the village of Motonui. What’s so cool about this scene is that it’s basically a microcosm of the tensions that will run through the rest of the movie: Moana’s desire to answer the sea’s call, her father’s protectiveness, and the sacrifices she feels she has to make. Seeing it in script form makes you realize how much work gets done to drive those thematic elements home.